Membership to AAEP is moving from a calendar based membership year to a date based membership year beginning in 2019. 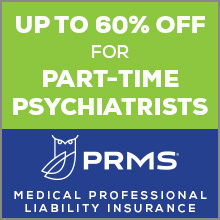 The American Association for Emergency Psychiatry offers countless benefits to its members. Membership includes discounted rates to our events and conferences, access to our journal, online career center, list serve, quarterly newsletter, networking opportunities, professional development and, much more. Join AAEP today to ensure your professional development, access to an unparalleled network, and to be part of a unified voice for emergency mental health. Members have access to the members only section of the website and member forums where they can be involved in discussions with other members around the world. A paper application is available here. For more information, please contact AAEP at [email protected] or 877-749-0737.